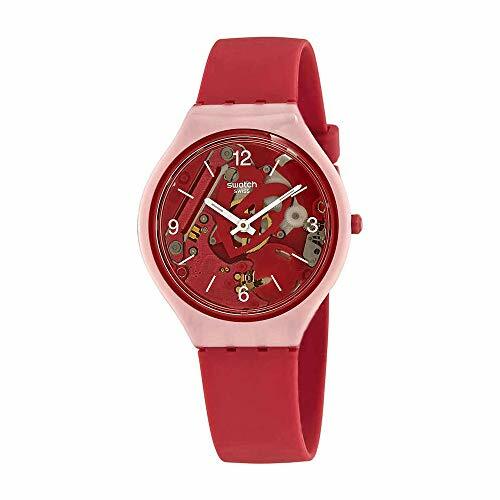 Finding a great watch for either a teenage boy or girl can be a challenge. They all have hugely different tastes, and usually, there is not a huge budget involved. That is why we have gone out and found some of the most reasonably priced watches on the market, that also look great and function well. Everything from the classic, to the modern. Day-to-day to more formal. You have a lot of choice. And, apart from a few of the super-modern smart watches, most of them rarely go over 100 bucks! So, dive right in and find the perfect watch for a teen guy or gal. 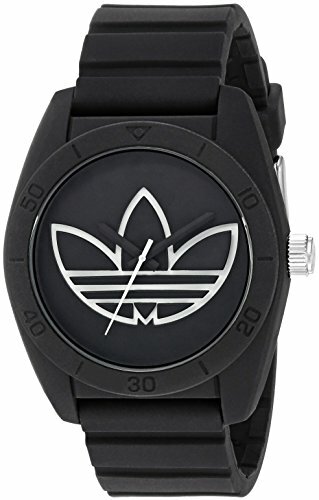 Sports brands are making all kinds of gear these days, including stylish and fashionable watches like the Santiago from Adidas. 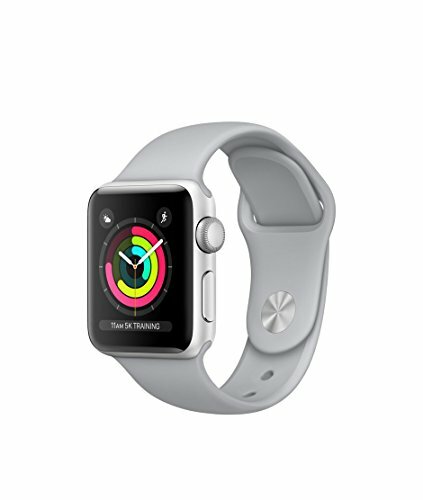 Following on from the simple and white style of Apple, they have made a very unique watch that certain guys are going to love. Especially if they are an Apple fan-boy! Of course, there is a black version as well, so if white is not your son’s thing (or yours) then there are other options. A couple of notable features of this watch are it’s 5ATM water-resistance, which means it can handle getting wet and even swimming (not snorkelling/diving though). And the silicon strap won’t soak through like some leather straps tend to do. So, it suits sporty types to a T! 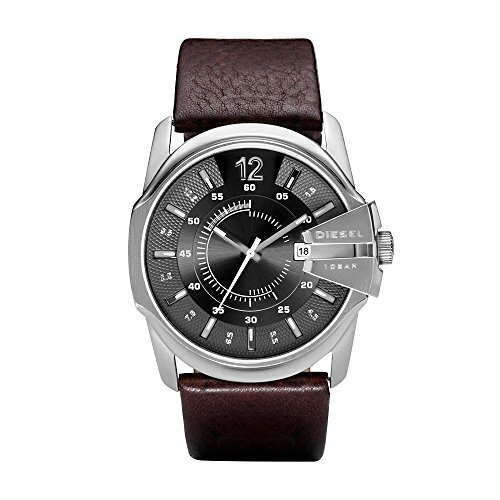 Diesel are all about fashion, and this watch is going to make you look the part no matter how old you are! Sure, this watch tells the date, and gives adds a nice date feature as well. But, it’s the style of that watch that really makes it stand out. With the steel cut out at 3 o’clock where the crown is and the unique pattern around the hour markings, it’s unlikely many other people will have a watch like this. It’s also water resistant to 100ft, which means you can get it wet, although I would not do laps in it. The leather band also makes it more of a stylish “going out” kind of watch, and less for sports or day to day use. And to top it all off, Diesel delivers the watch is a sturdy looking black button down box, something you can always store it in or reuse for lots of other purposes! A relative newcomer to the watch scene, Daniel Wellington has made quite a splash and quite quickly. 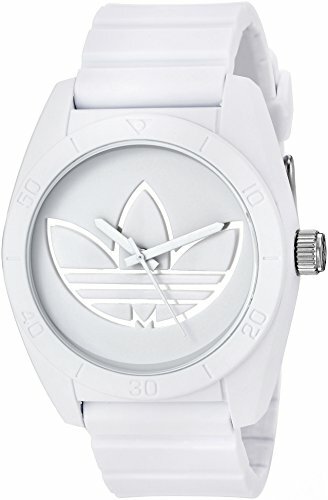 I see these watches everywhere nowadays, and for good reason. 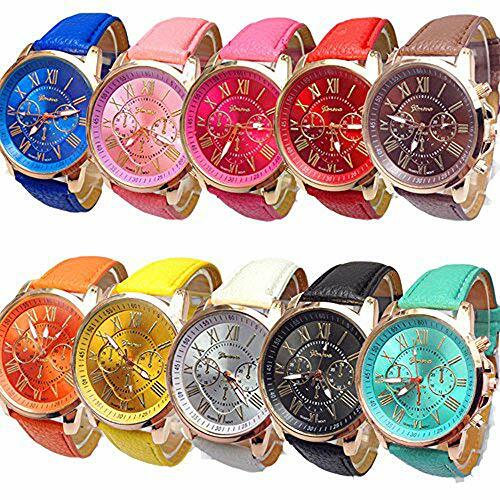 They are a quality fashion watch that anyone would be proud to wear and they go with almost anything. This watch in particular is easy to wear with a stainless steel case, white face and brown leather band. Nothing else out of the ordinary to mention here except that it is 30m / 99ft water resistant, so can handle getting wet, and is on the cheaper end for such a great looking watch. Seiko have been producing awesome watches for decades, and they certainly know a lot about quality, accurate and good looking watches. Back in the day, they were driving innovation in automatic watches and dive watches, and today they still have some classics like the SKX range. 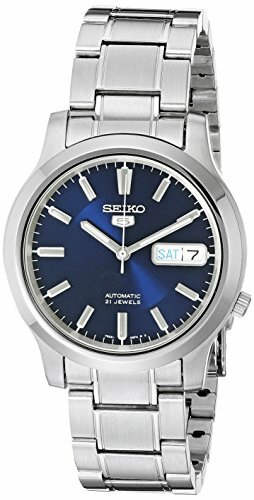 However, in this case we are talking about the more casual and less expensive Seiko 5 casual watch (shown in blue, but also available in green and black). 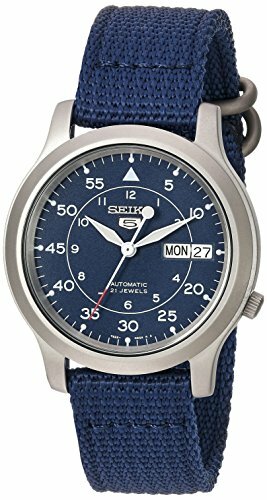 However, despite the lower price, it still has Seiko’s quality materials (steel case, hardlex crystal (scratch-resistant) glass) and an automatic (wind-free) movement that stores power for up to 40 hours. This watch is a great watch for everyday use because it will suit almost anything you wear, can withstand the elements and keep you informed of not only the time, but the day and date too! Gotta love that. It’s also not as large as some of the other watches in this review (37mm) so would suit a younger boy or someone with a small writ. As most modern watches tend to be at least 40mm or larger. This watch is from the same family as the Seiko 5 above, but with an all steel look and slightly different face. It’s simple, yet stylish and a great starter watch for a teen to appreciate quality, style and a more formal look in a watch. Combined with Seiko quality and an automatic movement (ie. no battery) this is a top-end watch and an entry level price! You know Swiss Army Knives right? 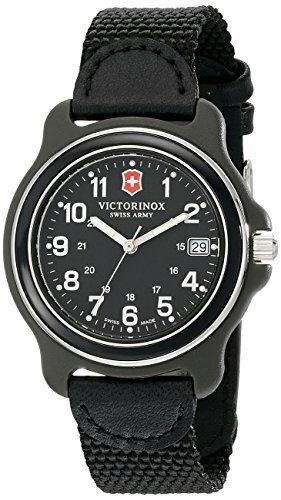 Well Victorinox are the original makes of those babies, and they have more recently expanded into watches. Taking their dedication to that renowned Swiss precision, they have come up with a great line of watches that are every bit as good as the thousand dollar watches from Switzerland, but, at a fraction of the price. The 249088 and 249090 are two of their classic casual watches that every teen will love. Some of the notable features include a date, 300ft (100m) waterproof and a comfy and casual nylon strap. Ideal for those not wanting anything too formal. 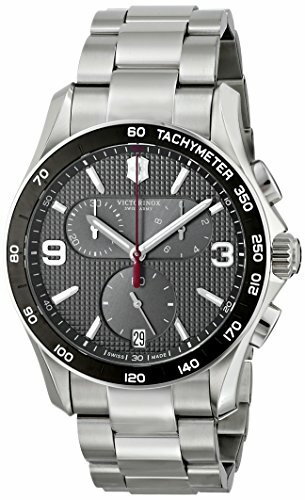 Victorinox also have a huge selection of steel watches and the Chrono Classic is one of the best looking I have seen. With a diver style look, a stylish black bezel and modern face, it will suit almost anyone. It is also a mid-sized face at 41mm, so will suit many a teen who has not yet grown the wrist size to accommodate the bigger faced watches we see these days. Lastly, the features: a chronograph, full stainless steel and 100m water resistant, so great for swimming or around water. 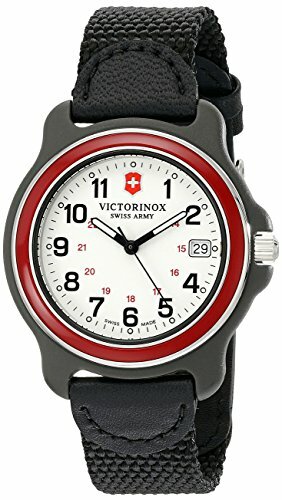 You can’t really go wrong with a Swiss watch! 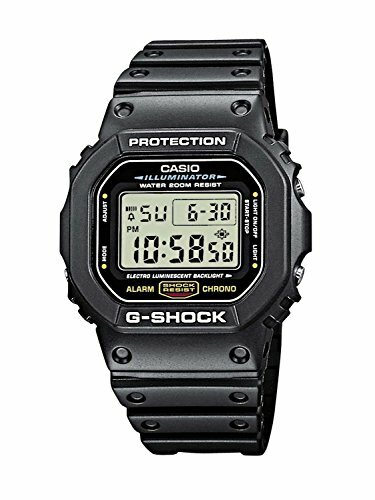 I think any teen guy should have a classic Casio watch a one point in their life. I remember mine! All electronic with lots of handy functions like: Countdown Timer, Auto-repeat function, Hourly Time Signal and Auto Calendar. This is a watch for a guy that likes things a little geeky and purely functional. It’a actually the kind of watch that I wore as a teen, and one of my friends still wears one to this day. They are seen by many fashionistas as way too boring, but for the right kind of person, they are a great buy! They are also 200m water resistant (so can be worn anywhere in the water) and are shock resistant, so almost indestructible. My guess is, if your teenage boy has not asked you for an Apple Watch yet, it’s high on his agenda! Who doesn’t want to have a watch that can not only tell the time but can also connect with your phone and send messages, allow you to call, get all your notifications, listen to your music and loads more. Apple has packed everything into this tiny phone possible. From a heart rate monitor (so it doubles as a fitness tracker too), a compass, workout app, GPS and altimeter and more! The perfect gift for the tech geek, or anyone who wants to stop having to take their phone out all the time! 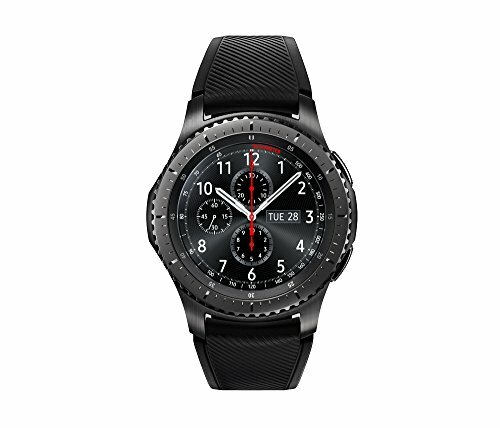 Samsung are not to be ignored when it comes to smart watches. They match and sometime beat Apple. So, if you think a smart watch is something for you, or your son, then this is one to check out. It’s insanely packed full of features and tech, so there is almost nothing left wanting – notifications, calls (without the need for a phone in some models) GPS, barometer, heart rate, steps, and a whole load of apps. Also, it features Samsung pay, which does not seem that exciting at first, to you realize that it can also pay at old-style slide-only terminals (it emulates a credit card’s magnetic strip! how cool is that). There is also the ability to change faces at the drop of a hat, and slide in any standard 22mm watch strap – yes, even non-samsung ones! Add on top of that it’s military level protection – dust, heat, waterproof along with Gorilla glass to help protect the face! This is a beast of a watch, and one you will find hard to destroy! The only downside I could find is that this watch is on the big side, both from a diameter (46mm compared to Apple’s 38mm) and it’s also quite thick. 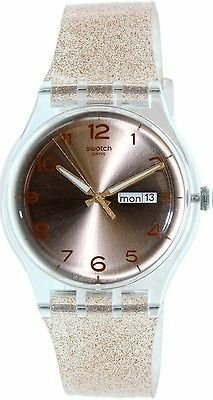 You almost can’t go past a Swatch watch if you want a simple, reliable and colorful watch. They come in such a huge range of colors, styles and faces that it is sometimes hard to pick. Shown here are just two of the see-through faces, but that is not all they have by far. Even my Mom uses a pink one for her dragon-boat races, so you can be sure this thing can stand getting wet. It’s not designed to go swimming, but those ladies splash a lot with their padels I can tell you. Be sure to check out all the available colors and options on Amazon, you will be amazed! For those looking for something a little more elegant, but with a bit of pizzaz too! The colors say it all. It’s classy, but not overly so. It’s functional, with both a hour/minute/second and day/date. As well as being water resistant to 30 m (99 ft) with a silicon band. So, happy to get wet! 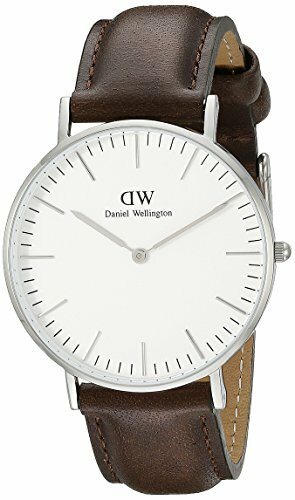 Daniel Wellington may be relatively new on the watch scene, but their watches are certainly making a splash. The Classic Petite range is a very elegant yet modern take on the formal women’s metal banded watch. 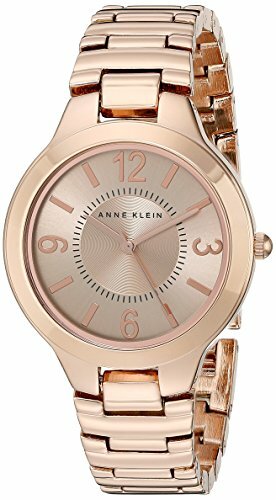 It’s available in a few color options (Sterling and Rose Gold bands, black and white faces) so you can choose a little to match your (or your daughter’s) needs. They are a quality product, with metal all-round, so they are a little more than a Swatch or other cheaper alternatives, but well worth it. My girlfriend loves hers! 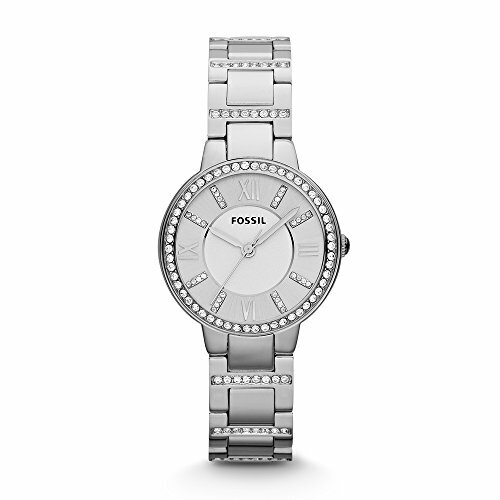 Another big name in fashion that all young ladies will know, is Fossil. So, it’s no surprise that they have their hand in the watch game and are producing some stunning looking watches. The Virginia is on the small side, so will suit those with more petite wrists, and when combined with the expensive looking crystal-embellished bezel, your teen will love it. CdyBox are all about color! BOOM. These watches stand out in a crowd, that is for sure. And, they are quite modern looking with their roman numerals and chronography small dials (which do not function but look great). And, for way under 50 bucks, you can’t beat the price. You could almost buy one for each outfit and still be happy! Since their solid beginnings with reliable shoes, Nine West has more recently been on a rebranding mission and their watches are one of the results. 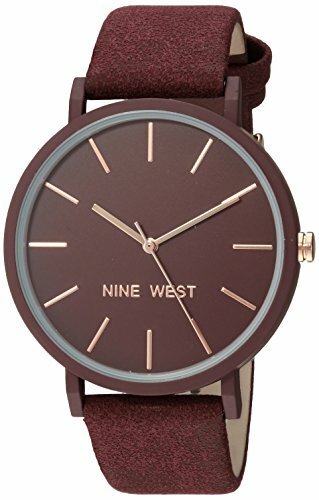 They actually have quite a huge range of watches, from this simple rubber strapped watch in burgundy, all the way to more elegant looking metal watches. If you don’t like the looks of this one, check out their offering here. 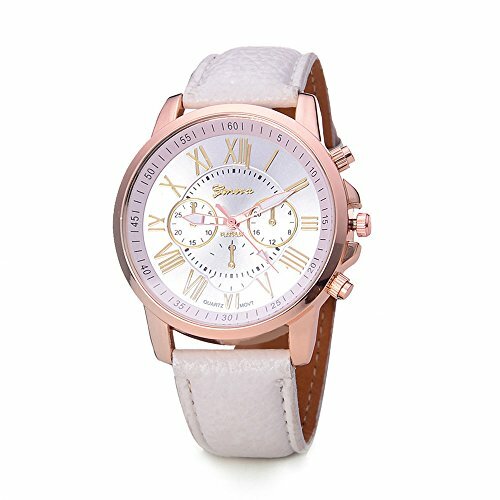 This is an elegant looking Rose Gold colored watch, that is right on point for those looking for a more budget option. The rose gold gives a more expensive and modern look to this steel watch (and strap). It is also quite small at 32mm, so will suit a slim-wristed young lady down to a T! Seiko are known for the innovative men’s and dive watches, but with this striking two-tone gold/sliver colored stainless steel watch, they have shown they can created great women’s watches too. Seiko is a brand on the middle of the scale as far as price, but, it also means you get high quality components all-round. It also features a day/date function, which is always a treat, to save you from looking at a calendar. And it is solar-powered, so no need to wind of replace batteries! Note: If you want something similar to this but more square in design, check out these Cartier Tank style watches.